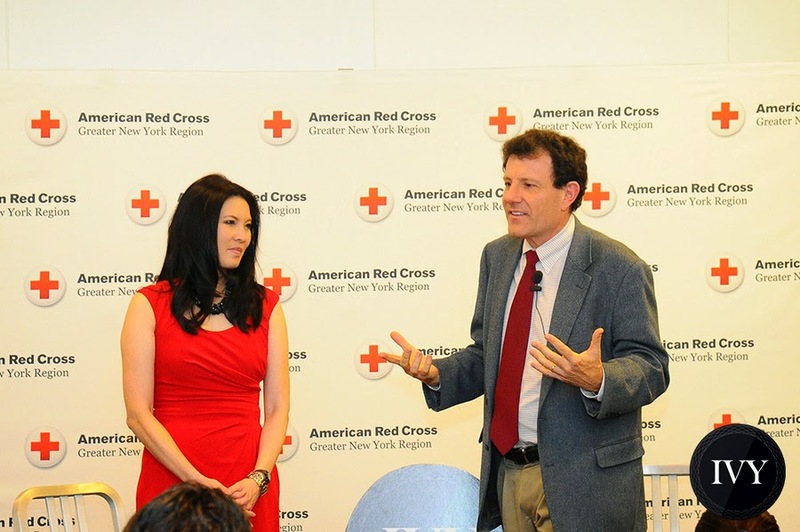 On Tuesday, November 11, 2014, the Greater NY Red Cross Young Professionals Council partnered with Ivy Connect, a national social networking group for young professionals, to host an inspiring evening featuring world-renowned humanitarians (and writers) Nicholas Kristof and Sheryl WuDunn. During the event, more than 200 guests, comprised of Ivy Connect members and Red Cross supporters, gathered in our Hell’s Kitchen Headquarters to hear the Pulitzer Prize-winners speak about “Art & Science of Giving.” This conversation offered Kristoff and WuDunn’s unique perspective on overcoming inequality by becoming more effective global citizens. They referenced their new book, A Path Appears, Transforming Lives, Creating Opportunity, which outlines ways to capitalize on our skills, time and money to make a more powerful impact on communities in need. To learn more about the Young Professionals Council, a dynamic new group of Red Cross supporters, and how you can join, click here. More pictures from the event can be seen here. I am very foodie and food is my weakness. That’s why I chose a location where I can get appetizing food in my party. Getting best event rooms for rent is only option which can serve me best food services.